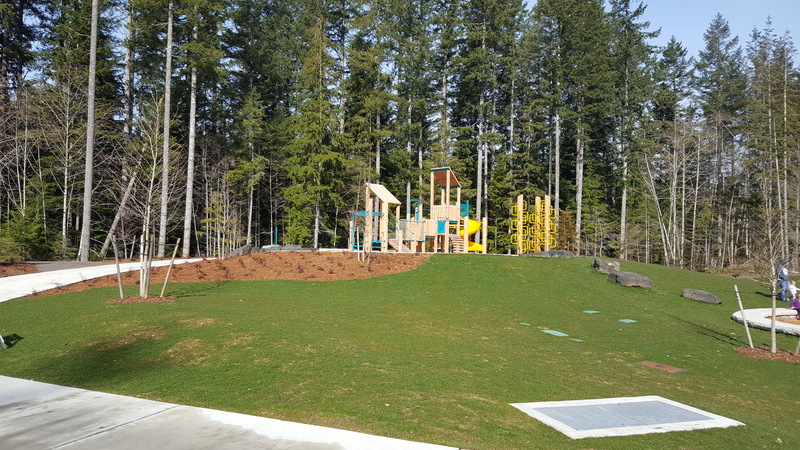 We are excited to announce the McCormick Village Park is now open to the public! 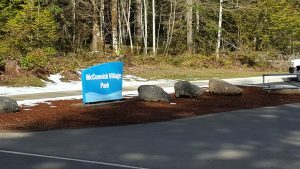 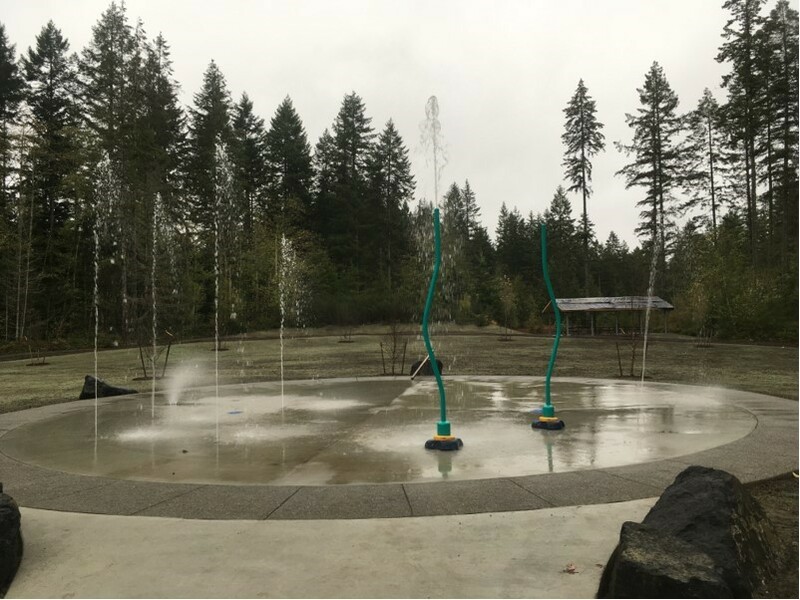 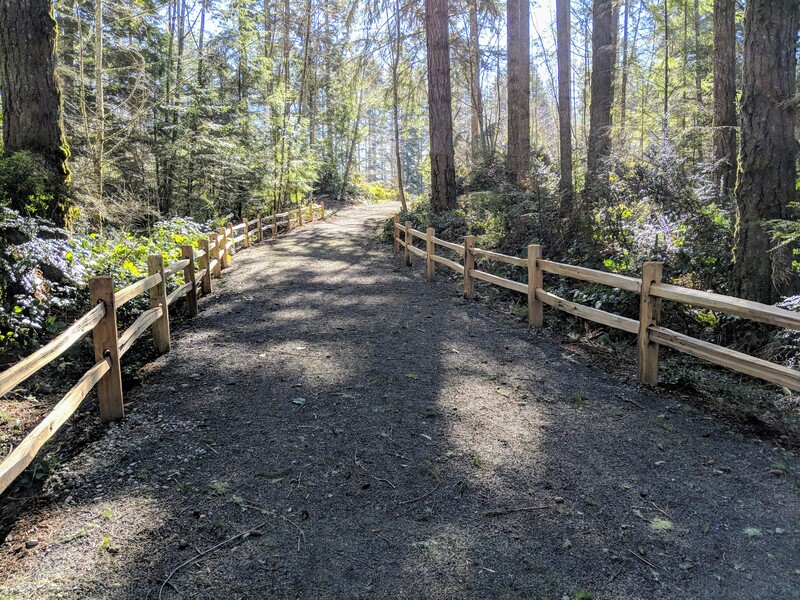 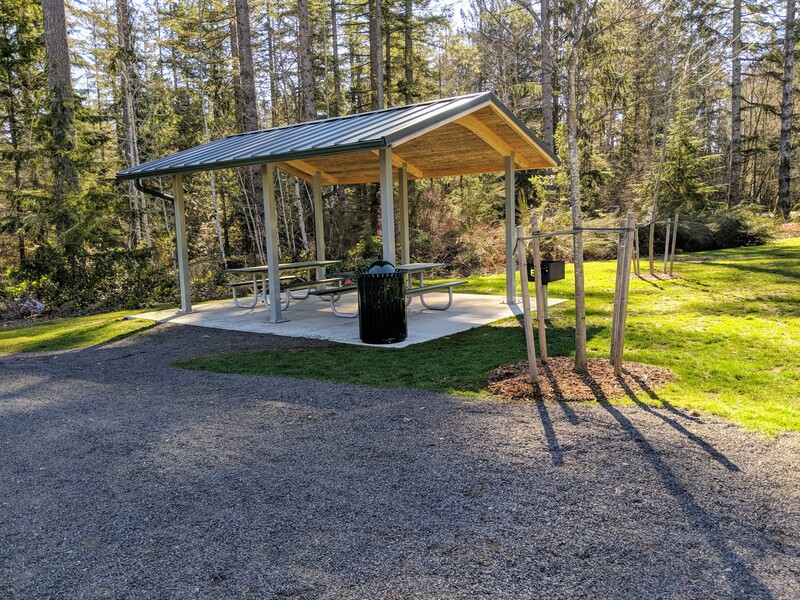 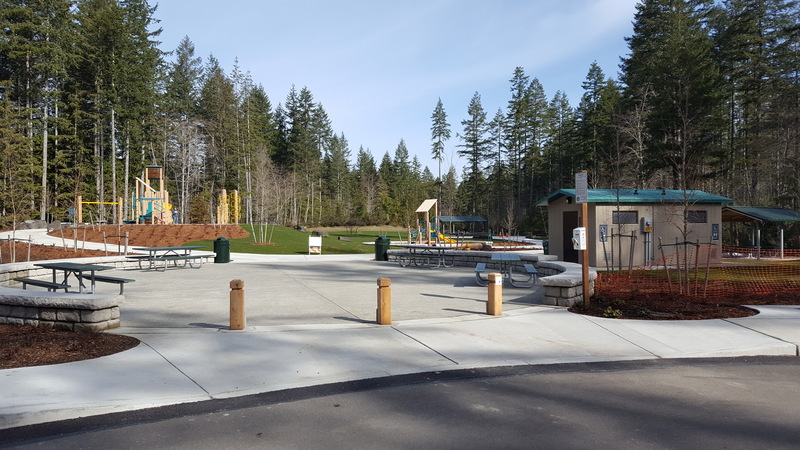 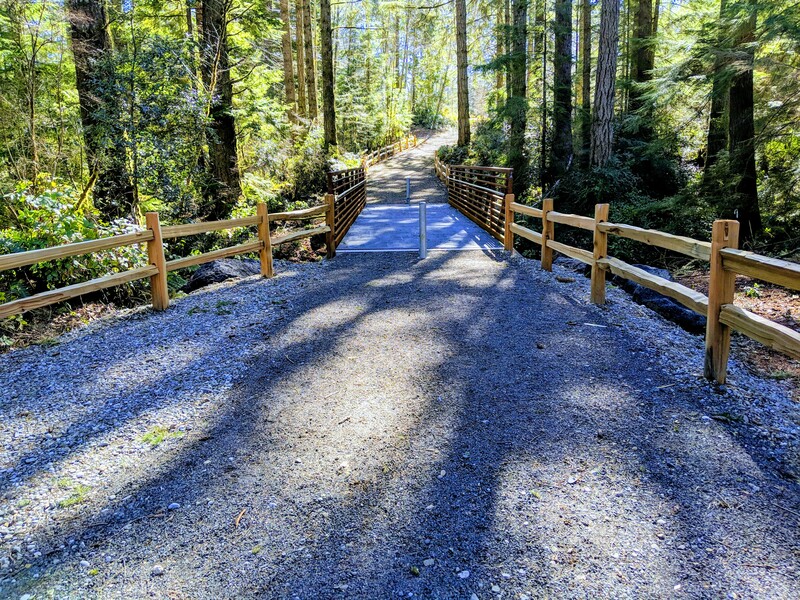 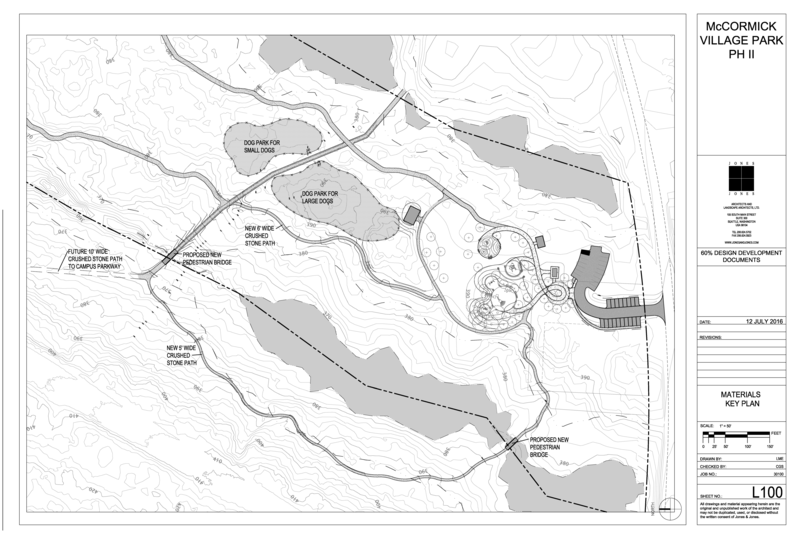 The park now features new sidewalks and paths; entry plaza; pedestrian bridge; picnic shelters; play areas and play structures; splash pad water-play feature; fenced dog park areas; paved parking stalls; and new landscaping. 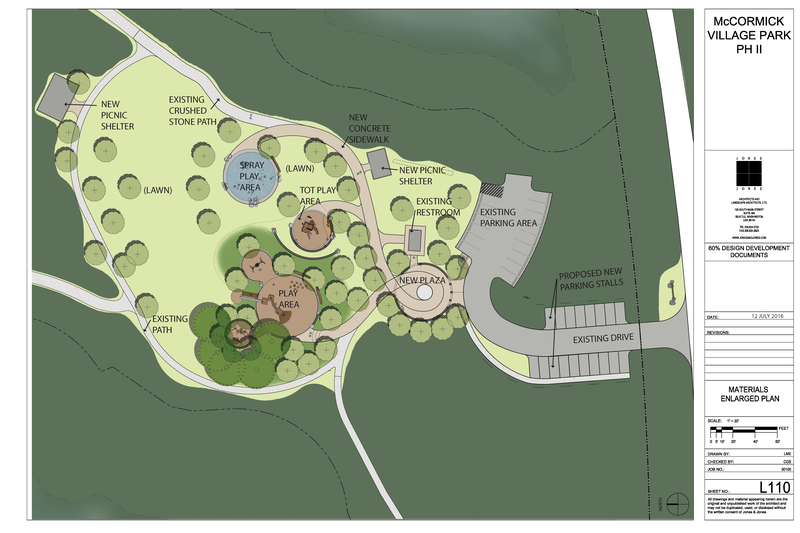 We appreciate your patience while construction was finalized on the park and encourage you to visit the new and improved McCormick Village Park!